I am definitely digging the ensemble of a Short Suit. Top up it’s a regular suit, but instead of your typical trouser, this style is cropped at the knee. Although, this new trend is quickly becoming mainstream, it is NOT for everyone. It’s still not suitable for all office environments, but if you can make it work, give it a try and have fun with it. This trend is bang on with hitting the smart-casual look, while keeping guys fashionable and cool. With the Short Suit, the look has to be just right. 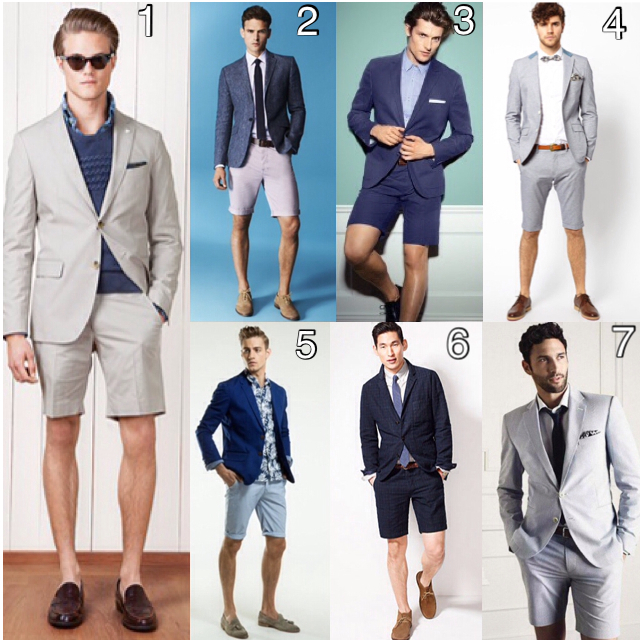 The style of the short has to be tailored, hitting just above the knee and the shoes are definitely key, sans socks. Don’t be afraid to mix and match but remember to let the suit make the statement and don’t overdo it with patterns and bright colours.